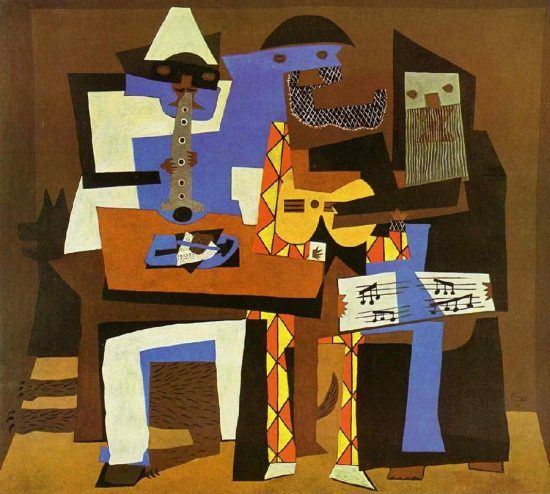 Pablo Picasso was an innovator in every art form that he worked in, from painting, to ceramic, to printmaking. 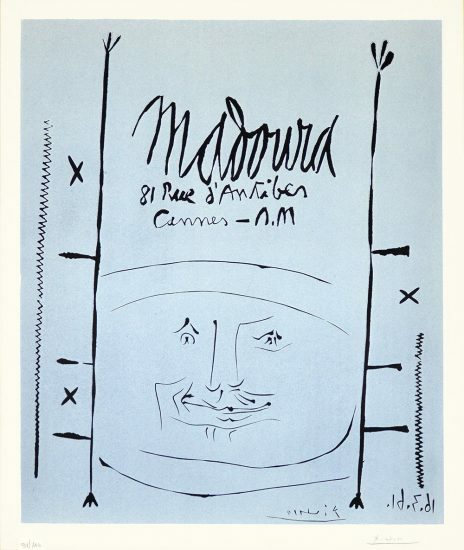 He frequently pushed the boundaries of the possible, and made the medium his own. 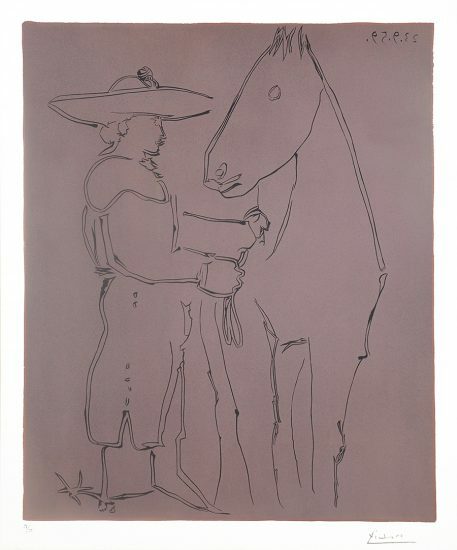 Picasso was a talented etcher from the beginning of his artistic career. 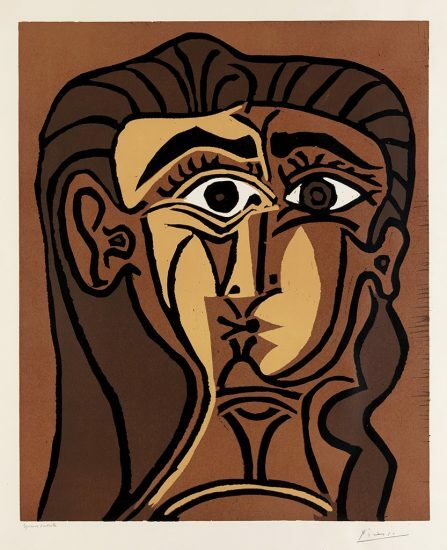 It was not until 1939, however, that Picasso tried a style of printmaking called linocut. Linocut, short for linoleum cut, is a technique of print making that utilizes a linoleum block. 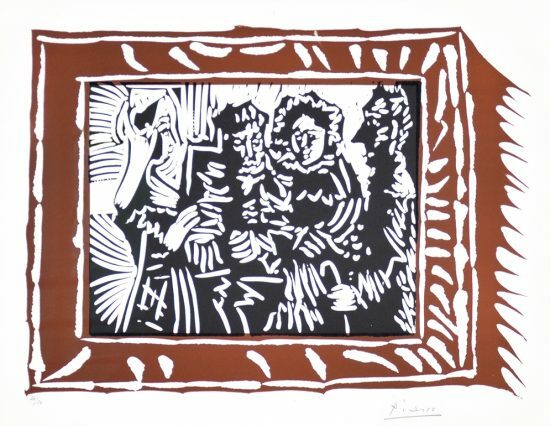 Similar in many ways to a woodcut, the artist would carve into the block, creating a relief of the image they hoped to print. What remains gets inked and printed. Unlike wood, linoleum is inexpensive and more pliable, meaning it takes much less effort to carve than wood. The soft material also allows for multiple methods of carving and holds up well for delicate details. 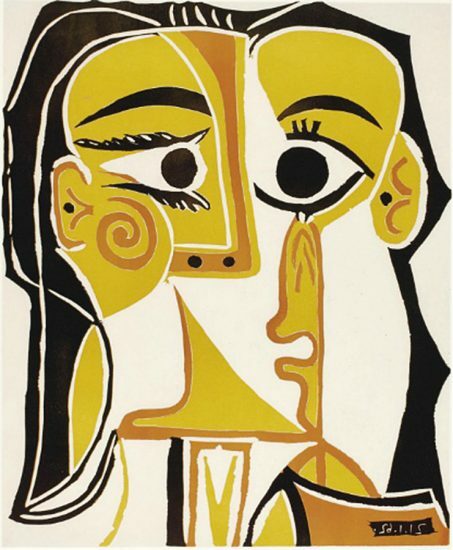 After creating his first linocut in 1939, Picasso did not pick up the technique again until 1951. 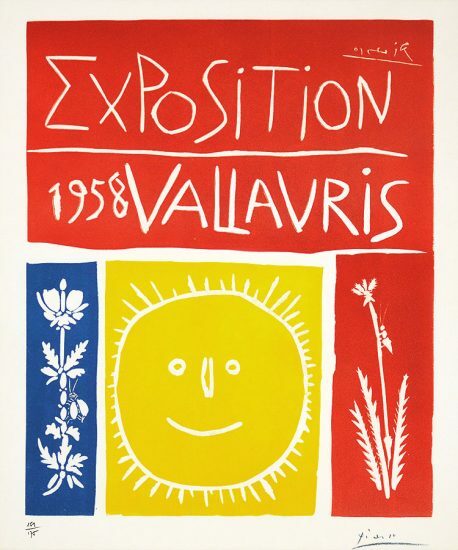 At this time he was spending much of his time in Vallauris. 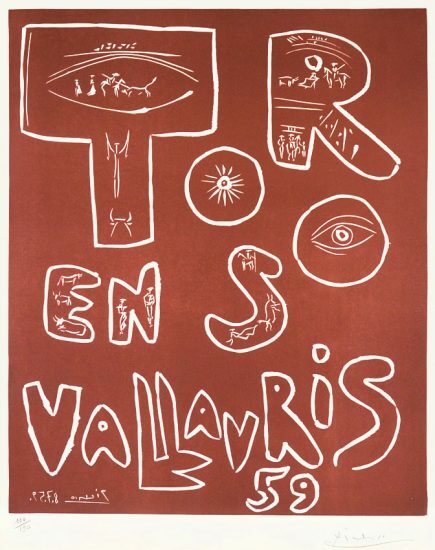 Occasionally, he would donate some of his time and skills to create a poster for an event in the town, such as a bullfight or a ceramics fair. 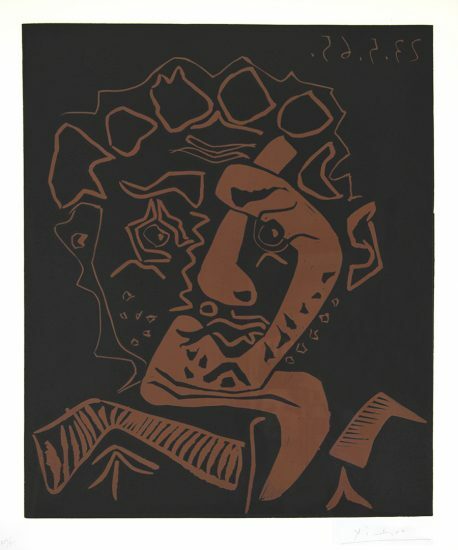 A local printer, Arnéra, suggested that Picasso try linoleum as a cheap printmaking technique. 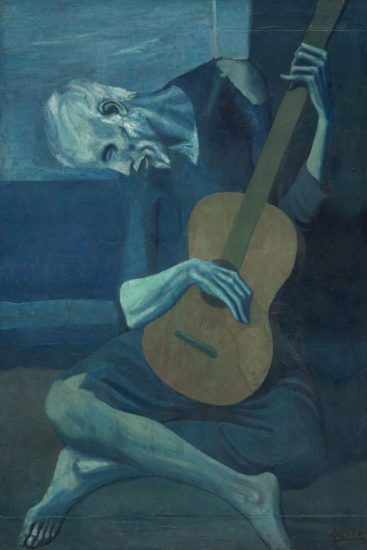 After this, and for the next 10 years, Picasso immersed himself in linocuts. 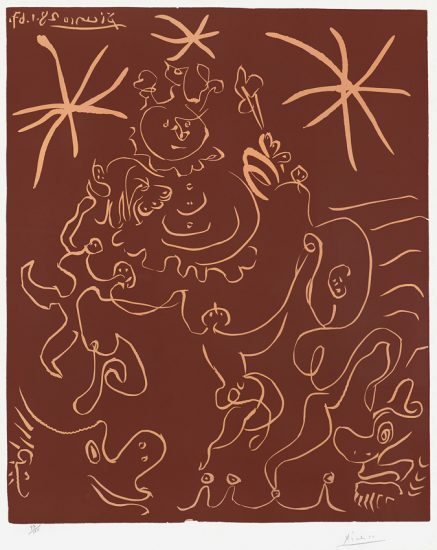 They still remain relatively rare in his oeuvre, encompassing only about 150 out of more than 2,000 prints, and are highly valued by collectors. 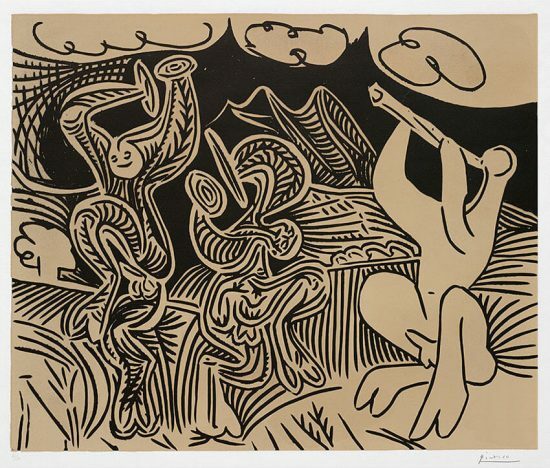 One of Picasso’s most exciting linocuts is also one of his earliest linocuts that is not a poster. 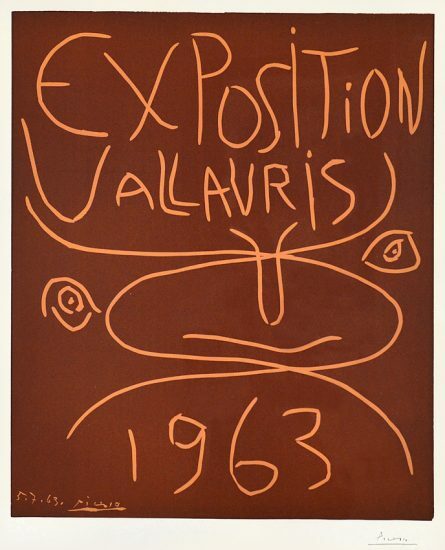 It shows his artistic process, and foreshadows his later innovation. Portrait of a Woman, after Lucas Cranach is a reimaging of the Lucas Cranach the Younger painting. It was made using 6 different blocks printed in black, red, green, yellow, brown, and blue. 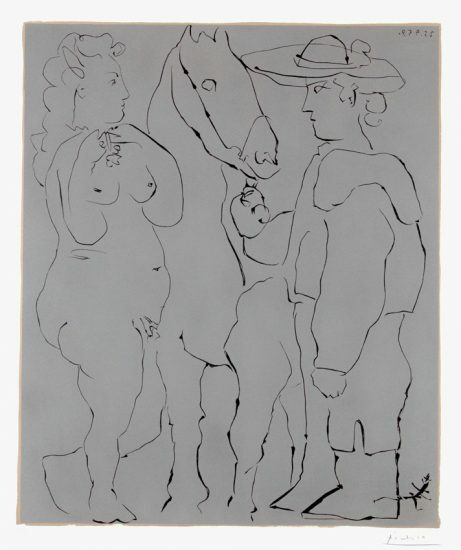 Etching all six blocks was time intensive and not a process that Picasso wanted to repeat. 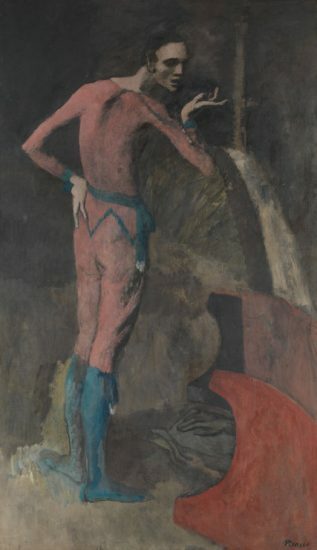 He wanted to use color in his works, and therefore needed to find a solution. 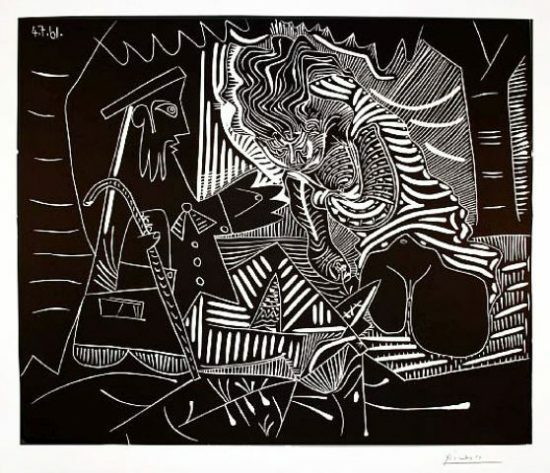 Instead of using multiple blocks, Picasso decided he would use one block and continue to carve into it, while inking the resulting images along the way. This way, he would only end up carving one block, and it would reduce the amount of errors created by carving multiple blocks inexactly. 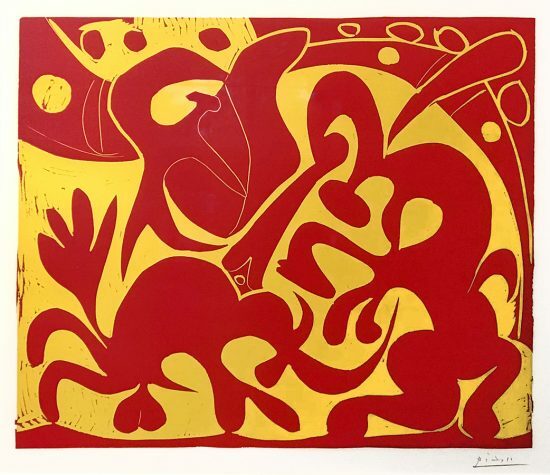 Picasso controlled the medium to fit his artistic needs, and the resulting Picasso linocuts are magnificent. 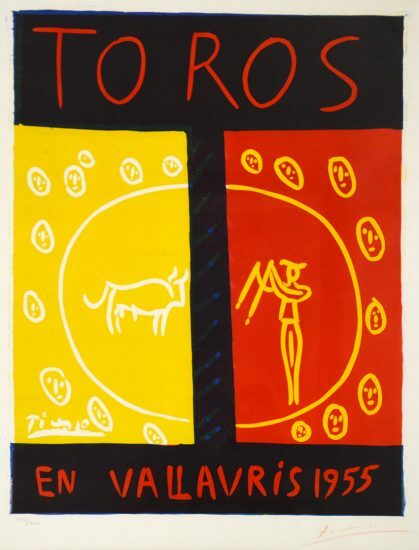 View our Picasso linocuts inventory. McVinney, L. Donald, et al. 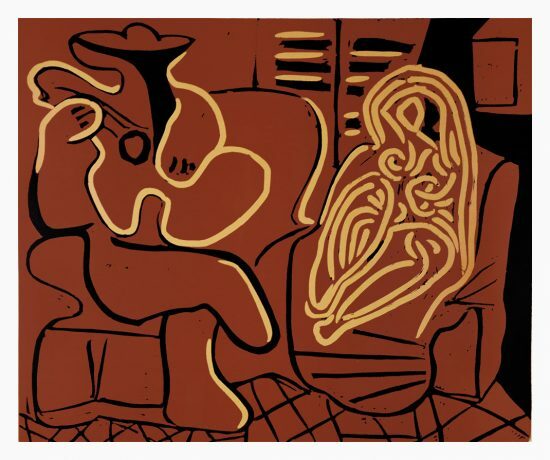 Picasso Linoleum Cuts: The Mr. and Mrs. Charles Kramer Collection in the Metropolitan Museum of Art. New York: Random House, 1985.